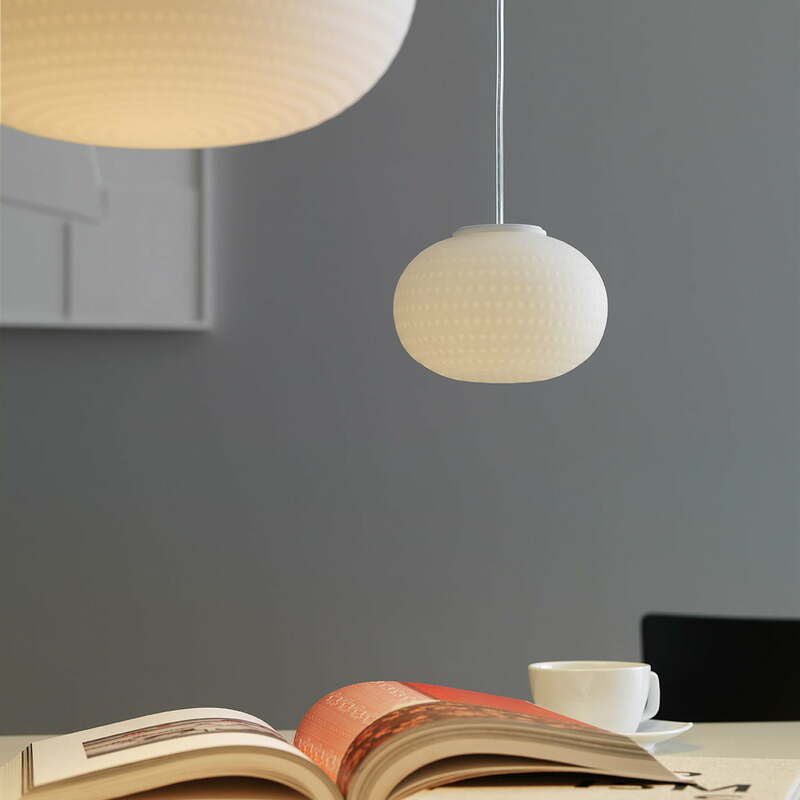 The pendant lamp Bianca by FontanaArte made of satin opal glass captures both in one design: the quality of the material and the light. 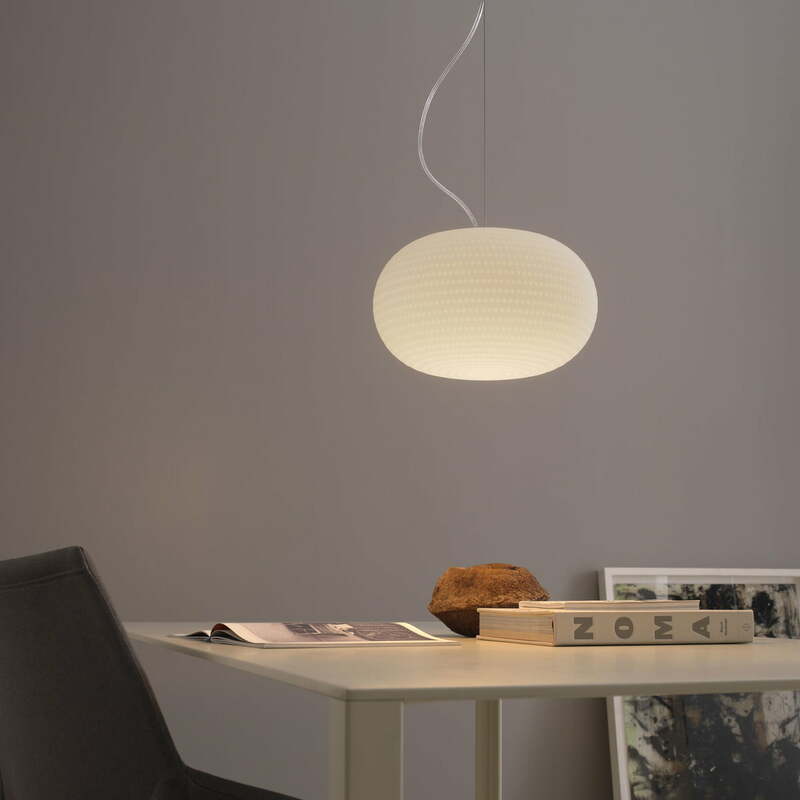 The mouth blown glass and the light are thereby combined and result in an aesthetically clear and absolutely geometrical lamp. The glass lampshade was produced in an elaborate handwork process and equipped with small grooves. The small hollow spaces create a unique structure on the glass, which optimises the diffuse light emission. The geometrical structure of the screen testifies the precision of manufacturing and reminds us of fresh traces in the snow with its furrows. 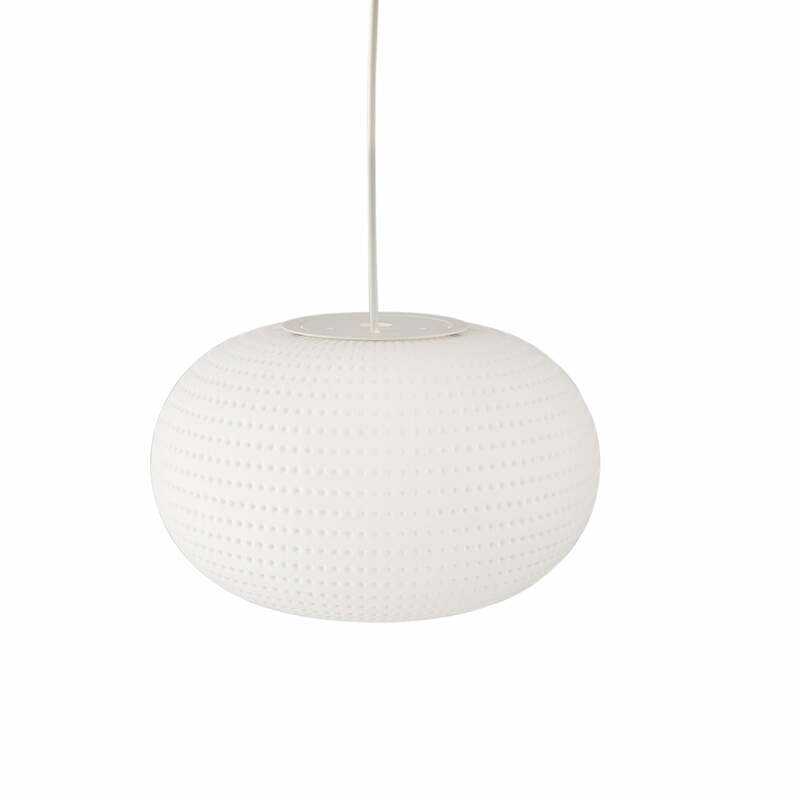 The timeless design of the Bianca luminaire is available on request as a table or floor lamp.